On New Year’s Eve 1994, I discovered Laguna Beach for the first time. Until that day, I had plans to live somewhere else. But, the great thing about being human is that we have the opportunity to change our minds. In September 2000, I moved to Laguna Beach and have been avidly exploring this town and its coastal neighboring towns from the moment I touched down. Since 1989, my business has only been International Marketing. I love the creative marketing strategies and solutions my ad agency, Armitage, Inc. has created for our international clientele, which includes large real estate franchises, world-renowned resorts, online e-commerce retailers, celebrity motivational speakers, top real estate agents, and high-level restaurants throughout North America. 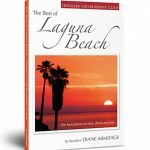 In 2008, though, in search of more balance in my life, I also began writing a blog – TheBestofLagunaBeach.com – with restaurant reviews and the coolest events in Laguna Beach. It grew to giant reader proportions and spawned two international best-selling books. I’ve since expanded the platform to also include “best of” commentary on our neighboring coastal towns of Newport Beach, Corona del Mar, Dana Point, San Juan Capistrano and San Clemente. Every day in South Orange County is a new story and a new discovery. I tell people I love the discovery because it’s really all about meeting people who have changed up their dreams, too. Helping people with their real estate needs was a natural next step … because it’s all about using the most innovative marketing strategies to help people find their NEW dream. That’s where the Armitage Real Estate Group comes in: We get your dream. Buy The House You Love, Shape It Into the Home You Love. 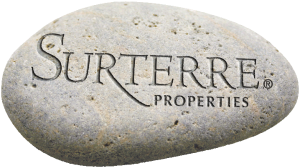 We help every Interested Buyer find a house and … then … help those same buyers shape shift that house into the dream home they hold in their OWN minds.